Learn the fundamentals and be exposed to some essential parkour techniques. Discover new movement possibilities and interaction with obstacles. Running, climbing, jumping, vaulting, brachiating and many more on the menu. Parkour is THE movement based discipline. Fun and safe introduction to parkour for the young ones. 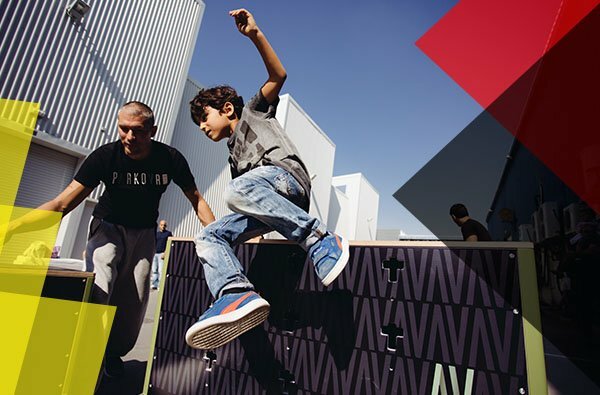 Every kids love to move and play and parkour offers exactly that under the supervision of our qualified and experienced coaches. Your Spiderman career begins right here! 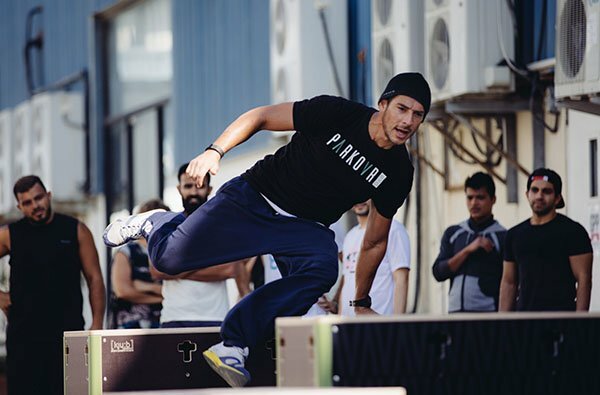 Behind the functional training approach, parkour is a mind engaging practice focusing on overcoming challenges and pushing the mind limits. The parkour Games will test your teamwork abilities as well as your spirit within a specific situation. Parkour IS a mind and body discipline!